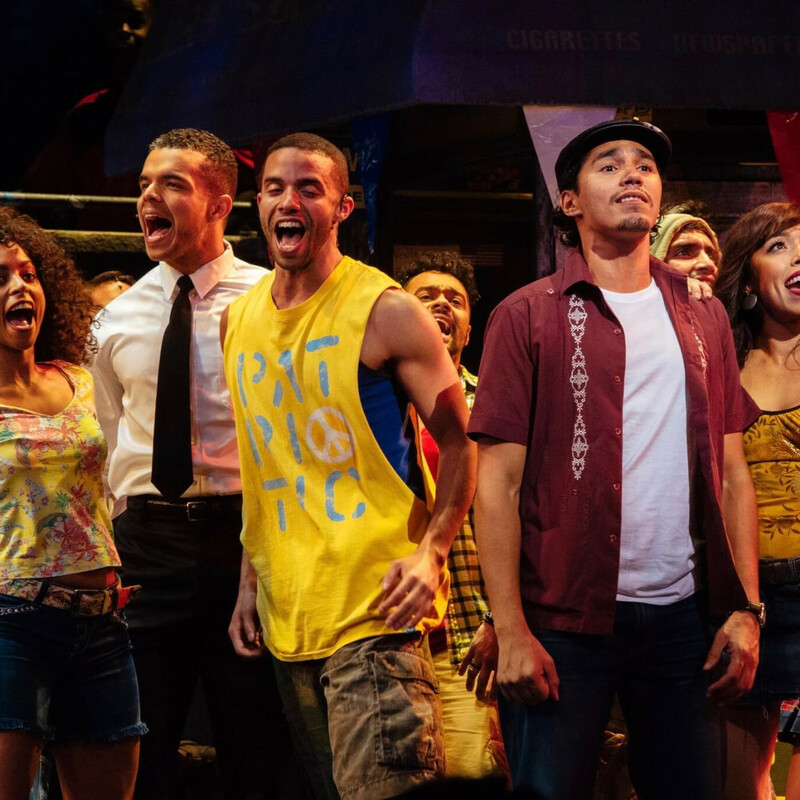 The Theatre Under the Stars revival of Lin-Manuel Miranda’s In the Heights could have easily–though figuratively–crashed into the orchestra pit under the weight of its behind-the-scenes-drama and audience expectations. Fortunately, with assured direction from Nick DeGruccio and a triple-threat-talented cast, this show about one 4th of July weekend in one small neighborhood in New York, instead lights up the Hobby Center like a round of holiday fireworks, or at least a bunch of roman candles set off to scare away looters. 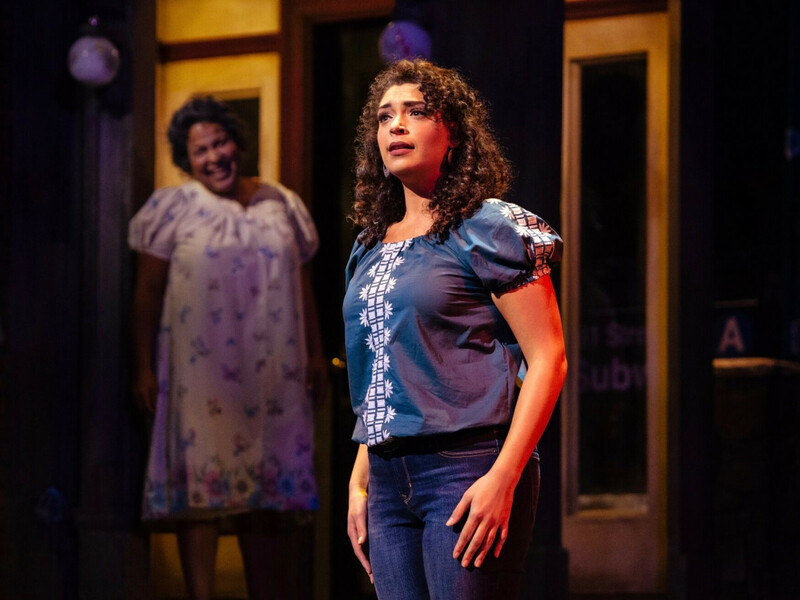 With a reputation now laden with multiple Tony, Emmy and Grammy Awards and a couple of Pulitzers, Miranda went from musical theater prodigy with the Broadway debut of In the Heights in 2008 to a kind of showman demigod with Hamilton. 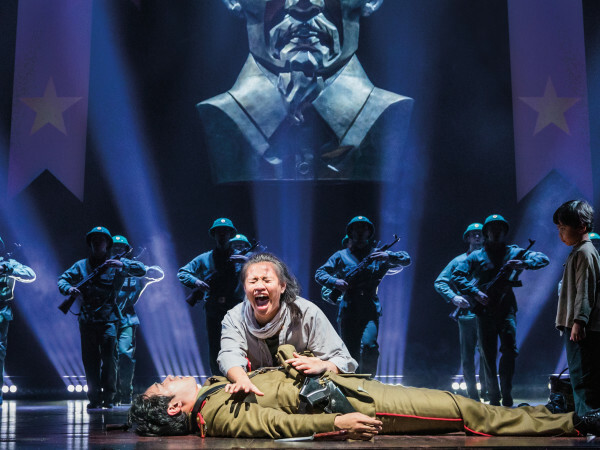 Ten years after that Heights premiere, audiences can’t be blamed if they walk into this TUTS show wondering if the young superstar Hamilton has now overshadowed its older musical sibling. 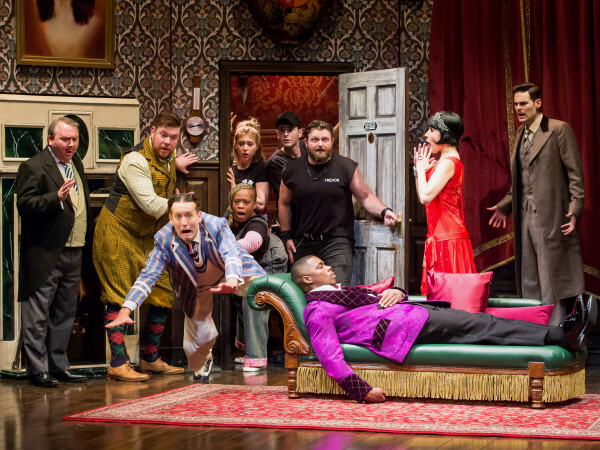 Then there’s the offstage, drama-filled history of this particular production. TUTS announced its 2016-2017 season in January only to partially scrap and then revise it in June with the arrival of new artistic advisor Sheldon Epps. While they may break out into song and dance just as often, these Washington Heights kids don’t look much like the gang from the originally scheduled Grease. While we’re at it, let’s pile on about ten presidential debates worth of hot-button issues that the music and lyrics by Miranda and book by Quiara Algeria Hudes explores, including immigration, assimilation, gentrification and even the soaring price of higher education. 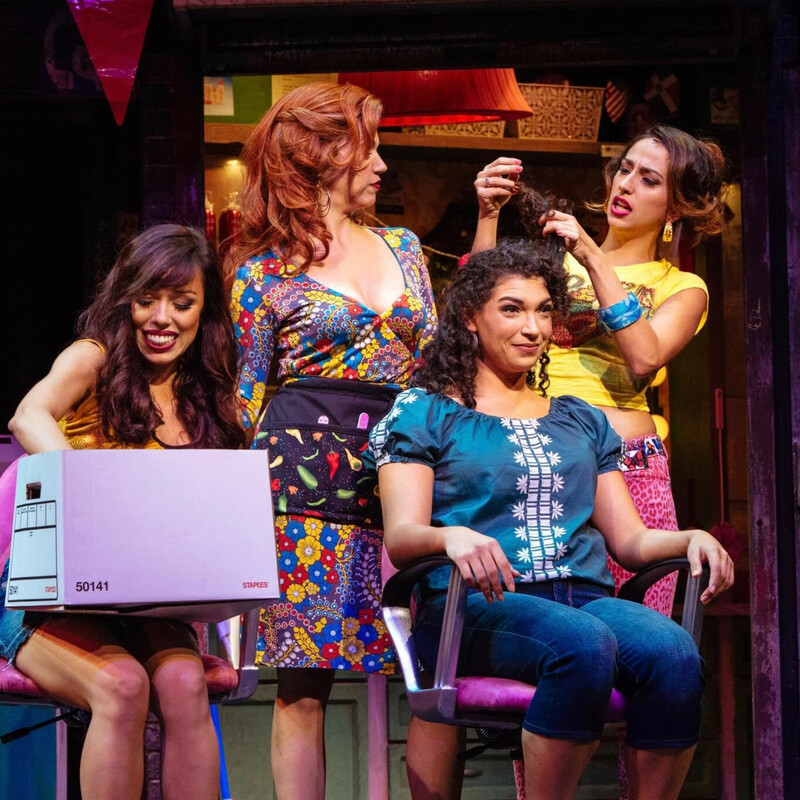 I won’t even go far into another thankfully-not-in Houston controversy that this production nimbly side-steps by hiring Latinx actors to play the Cuban, Puerto Rican and Dominican-American characters. 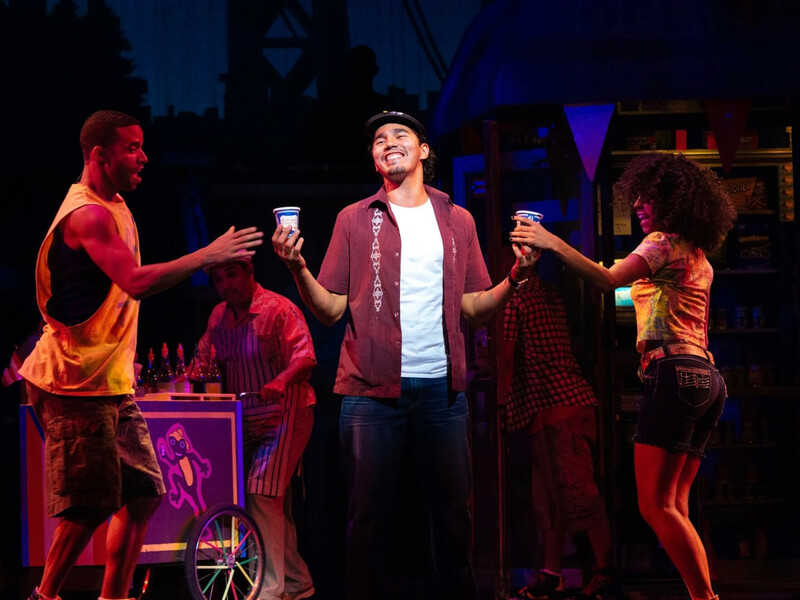 Yet once the lights come up on a new day for young bodega-owner Usnavi as he looks out on the audience and raps us the song, “In the Heights,” about all the people in his neighborhood, these weighty behind-the-scenes back stories and doubts are quickly forgotten as we become entranced by the onstage stories of the lives connected within the boundaries of a few street corners. 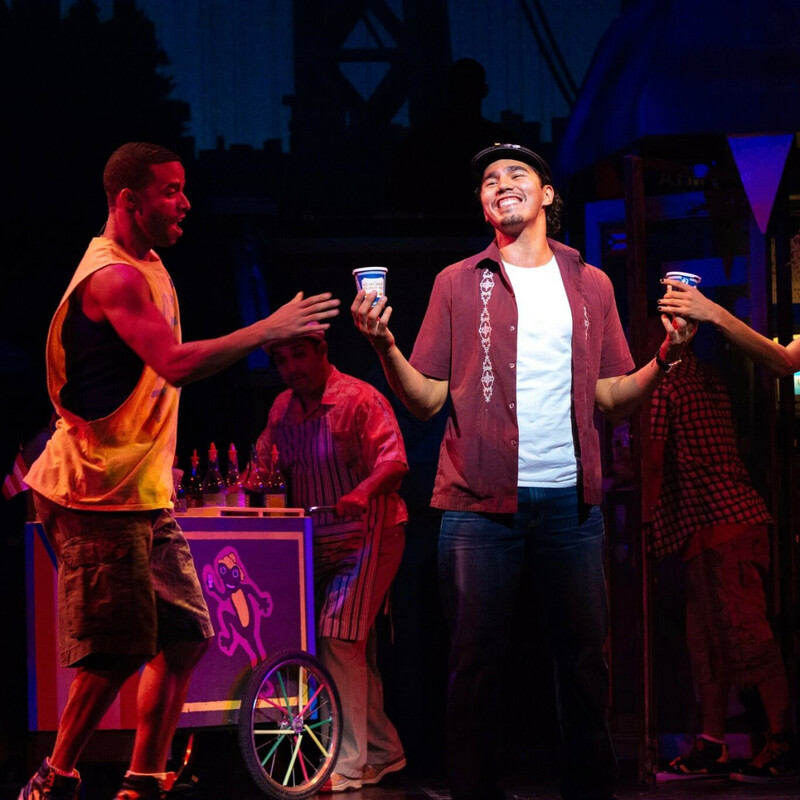 Usnavi, played with wise humor by a babyfaced Anthony Lee Medina, introduces us to his cheeky cousin Sonny (Philippe Arroyo stealing every scene onwards) and his dream girl Vanessa (Chelsea Zeno), who has dreams of her own to move uptown. 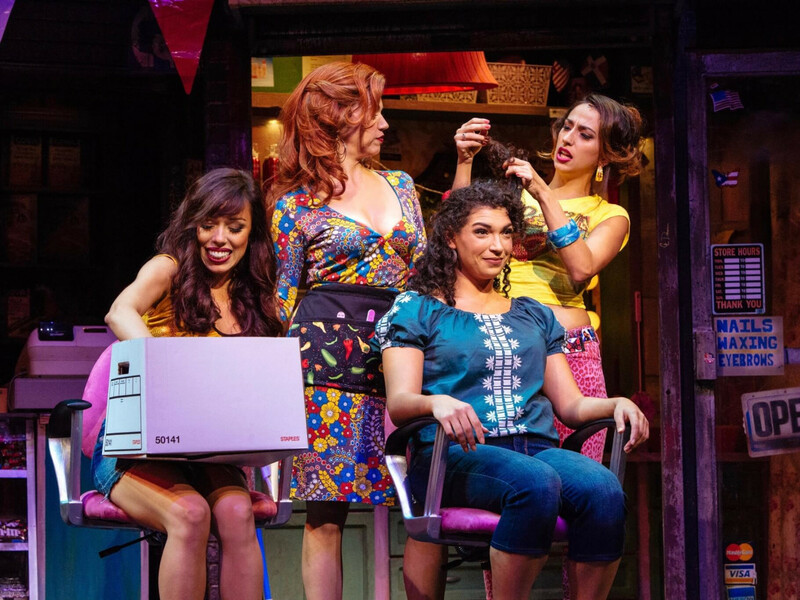 Vanessa works at the local beauty salon with gossipy but benign owner Daniela (Isabel Santiago). We also meet the Mom and Pop owners of the local car service Camila and Kevin Rosario (April Ortiz and Danny Bolero) and their daughter Nina (Michelle Beth Herman). She’s the first one from the neighborhood to go away to college, Stanford no less, but is now back and falling for their trusted employee Benny (Blaine Krauss). 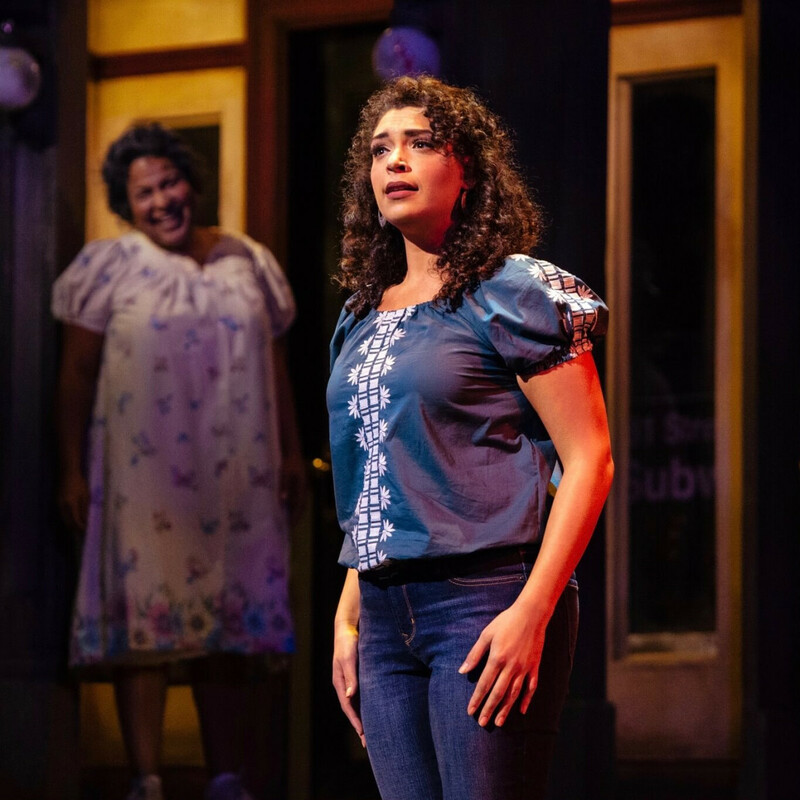 Perhaps most important to Usnavi and the whole community is Abuela Claudia (Rayanne Gonzales), the woman who raised him after his parents’ deaths. Everyone has dreams and problems to sing about, usually to a Latin beat, and all their aspirations and conflicts seem to hinge on their ideas and ideals of home. 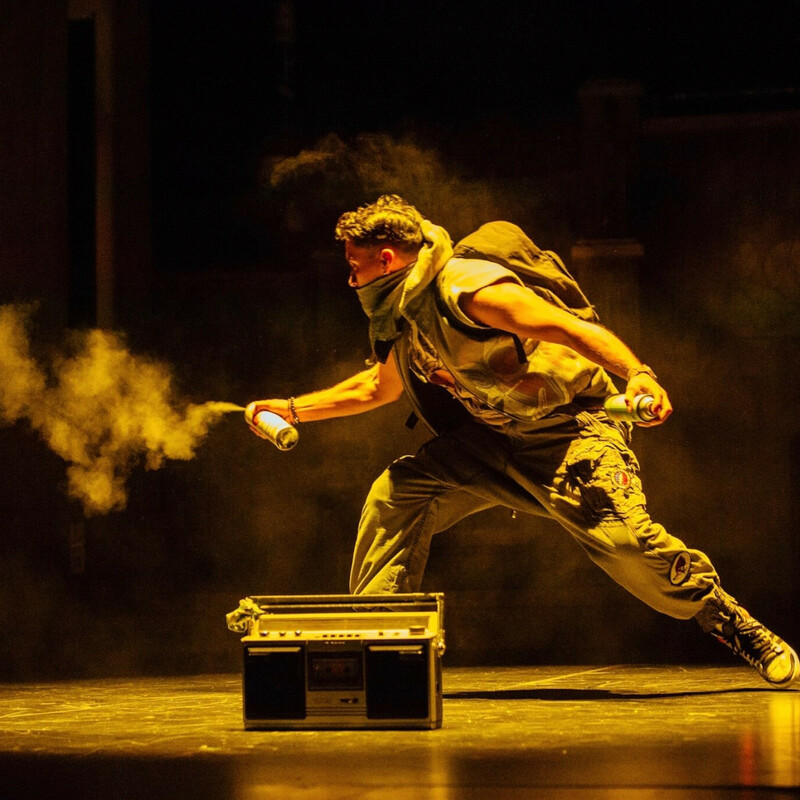 Usnavi longs for a Dominican Republic he’s only known from the stories his parents told him as a child. Gonzales, as Abuela Claudia, stops the show with “Paciencia y Fe” (Patience and Faith) singing of her Cuban girlhood. Daniela has to relocate her shop from “the barrio” to “the hood” as rent goes up. The Rosarios are in danger of losing the home they built for themselves in their now debt-ridden business, while Nina has found life far from home financially too hard to bear. And then there’s a winning lottery ticket floating around the neighborhood that could mean a brand new life and home for someone. Director DeGruccio raises fine performances and shattering solos from the whole company, though he perhaps gave himself a head start with the casting of several veterans of the original Broadway Heights and first touring productions, most notably Isabel Santiago, Danny Bolero and Rayanne Gonzales. The scenic design by Anna Louizos conveys a colorful but crammed cityscape that sometimes hems in the choreography by Jose-Luis Lopez. But perhaps that’s the point. Through open second-floor windows we get glimpses of other lives and untold stories, while on the staged street everyone is always on the move, dancing to somewhere else while bound by the structures of the city, the brick walls and storefront grates. Yet these set boundaries never restrain them, only reinforce their community. 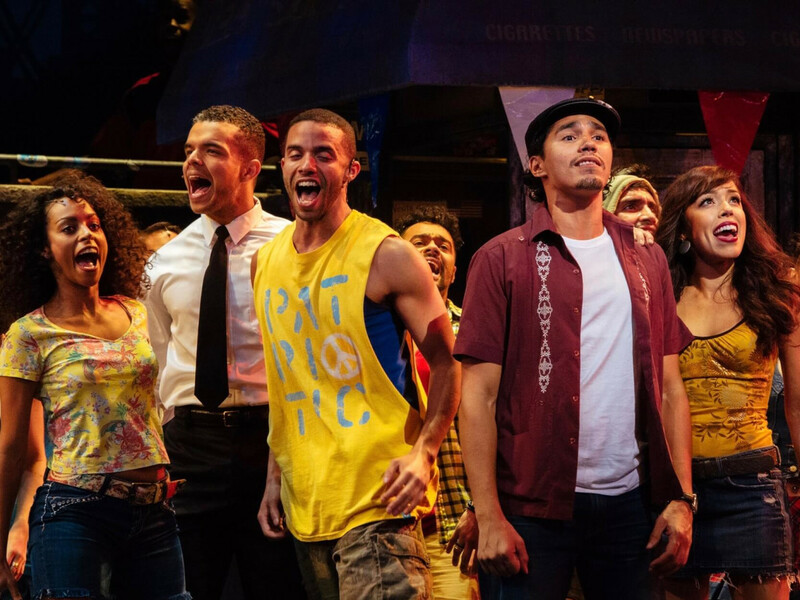 Though a decade old, In the Heights weaves so many current national issues into its narrative (there’s even a Donald Trump golfing joke), on one level it feels like a musical commentary that could have been written especially for November 8, 2016. Yet, I expect Heights will still strike a chord on universal heart strings 50 years from now, especially since the final message of the show is literally the same one a Kansas farm girl etched into the American psyche more than 75 years ago. Home is the ties and affections we have for the people around us, and there’s no place like it. 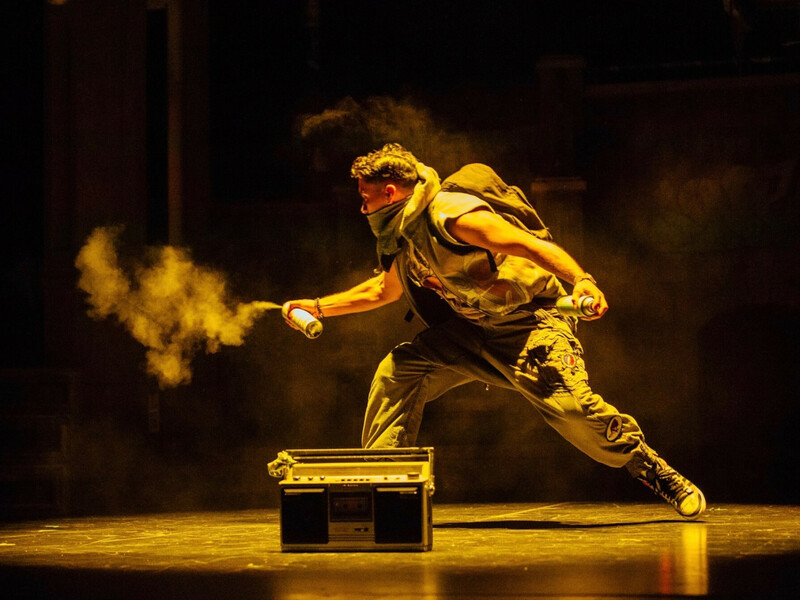 In the Heights runs until September 25 at the Hobby Center.